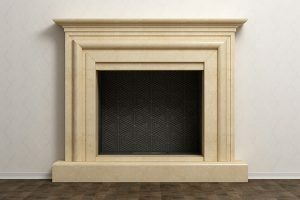 Home > Blog > Do Fireplaces Cause Allergies? Fireplaces are a hidden treasure, a rare luxury that not many homeowners get to appreciate. The warmth and comfort they provide in the winter months are impossible to replicate, even though gas fireplaces and heating systems have done their best. There’s a lot of enjoyment to take from them. However, fireplaces aren’t nearly as pleasing if they make you sneeze, cause a running nose, or dry eyes. Is your fireplace causing allergies? Wood burning fireplaces have numerous advantages, yet like anything, there are a few associated risks as well. 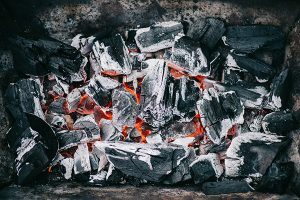 Though a sturdy, well-ventilated chimney with the correct liner and flue should prevent much smoke from entering the house there’s naturally going to be a little bit of it that travels out instead of up. As a result, wood burning fireplaces are hard on people that have a family history of lung disease. It may also contribute to adverse health effects because smoke gathers small particles that can then penetrate your eyes or respiratory system. You may notice burning eyes or a runny nose, side effects that are comparable to what you endure when you are suffering from allergies. But is it allergies, or something different? 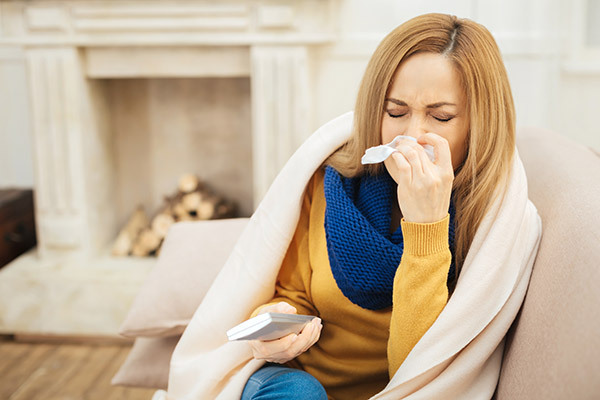 Fireplaces & Allergies – Is There a Connection? People that live in places that experience four distinct seasons, especially in places where the temperature dramatically shifts from very cold to very mild quickly, experience the biggest issues with allergies. 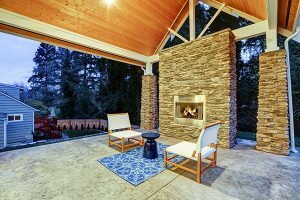 It’s confusing to some whether they can attribute it to their wood burning fireplace as they transition from winter to spring, and fall to winter, because they likely have the fireplace burning at the same time they notice the symptoms of allergies. So it is more to do with the weather outside or the smoke generated from a fireplace? There’s no scientific research that indicates fireplaces, even wood-burning ones directly contribute to allergies. However, they can make allergies that are already present from nature worse, and inhaling small particles from wood burning pits has other health risks too. The smaller the particles that a fireplace produces the more harmful to your health. Why? Smaller particles have the ability to get deep into the lungs, and even the bloodstream making them more dangerous over time. Particles that are less than 10 micrometers in diameter, especially those described as “fine particles” which resemble anything less than 2.5 micrometers, pose serious health risks. Wood smoke can also contain other toxic substances like acrolein, formaldehyde, benzene, and methane. All of these fine particles have the potential to affect your lungs, according to lead allergists. It is impossible to have a gas or electric fireplace cause allergies. For that reason, many prefer them because they are safer and cleaner especially for children or older adults that may already have health conditions. For those with wood burning units, you should consider limiting exposure especially during the months where your allergies are notoriously the worst. Even for those that do not suffer from nasty allergies, wood burning fireplaces are hard on people with asthma and can also contribute to bronchitis. Once again, limiting exposure should not lead to anything threatening, especially if the fireplace is in strong working order. Burn dry wood that has been split, covered, and stored for at least six months. Some wood can develop rot, which when burned releases harmful particles. Outfit your fireplace with a tight-fitting door as opposed to a screen. It will block out far more of the smoke and small particles. Take extra measures to makes sure the room that houses the fireplace is well-ventilated. Make sure your fireplace and chimney is inspected and cleaned every year by a certified professional. It is not only important to your health but also the law. Though it was previously noted that gas fireplaces are much safer than wood fireplaces, they still can affect indoor air quality. It is important to talk with a specialist when getting the unit inspected for their suggestions on maintaining gas fireplaces. Fireplaces are one of the most beloved items you can have in a house. Along with the warmth they provide in the winter, they also are a visual wonder and often serve as the centerpiece of the room. Though it may feel like the fireplace is causing your allergies, it is often nothing more than something that stimulates allergies you already have from outside, because of the smoke. You can take additional measures to maintain good health by avoiding burning wood with rot, making sure the fireplace is annually inspected and cleaned, making sure the chimney liner and flue is in good shape, and installing a tight-fitting door. If all else fails, you may need to avoid running the fireplace during the early spring or fall where allergies are sometimes at their worst. Chimney maintenance and cleaning are one of the highest priorities for homeowners across the states. Oftentimes, we like to use the fireplace during the winter and we treat our guests with a comfortable setting once the fire is started. 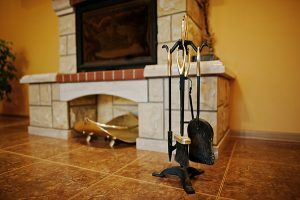 Your fireplace generates enough creosote and chemicals after several uses. 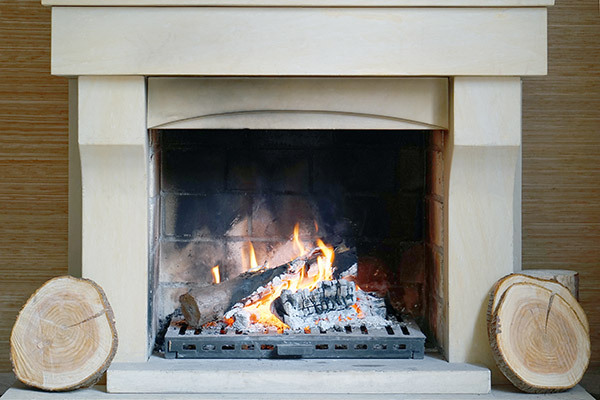 Keep your allergies at a minimum and maintain a functional fireplace with cleaning and inspection done by Early Times. Speak to a specialist and get a free quote online today.